Are you looking to make a positive improvement to the appearance of your teeth or smile? Our cosmetic dentistry services are listed on the top right. Our dentist, Dr. Omene, is a graduate of the Temple University Maurice H. Kornberg School of Dentistry with a special focus on cosmetic and aesthetic dentistry. 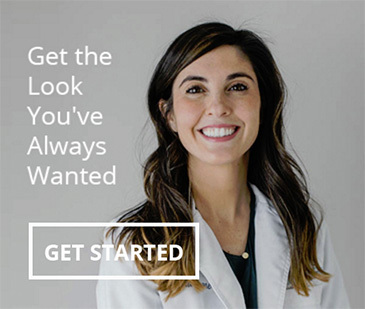 She will explain the different treatment options so you can make a well-informed decision about what’s best for you and your smile, and your wallet. Our Office Manager, Jennifer will explain costs, what is and isn’t covered by insurance, and provide you with some payment options. You can see some before and after examples of our cosmetic dentistry work here. Our office is in Paoli, very close to the SEPTA R5 Paoli / Thorndale regional rail line train station. We find a lot of our patients prefer to stop in on their way to or from work, school, and home. Many are Paoli residents as well as neighbors in Berwyn, Devon, Exton, and Malvern. Almost everyone remarks upon the convenience of our location. Feel free to contact us at (610) 644-5547 if you have questions or would like to schedule an appointment. Jennifer, our office manager, will be more than happy to assist you.